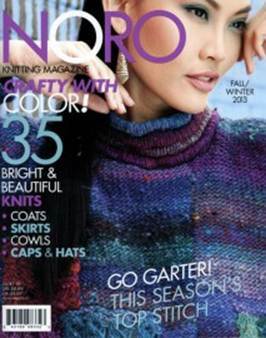 The Winter issue of the Noro Magazine is on the way to me…should be here early next week. John went to the dentist and had the crown removed and a temporary filling put in the tooth. He now has to decide if he wants to go to a specialist in London to have the root removed. It is the tooth one from the furthest back on the lower jaw and our dentist says that it needs specialist equipment to deal with it. This tooth had a bridge to the teeth on either side and so it is not possible to remove it as it is needed to support the teeth on either side. Rather him than me…….have the lot out is what I say! John and Slip are shooting tomorrow and I am going to the hairdressers and doing some shopping and then I am going to make a blueberry and frangipani tart for Sunday lunch. We have been to the butcher and are having roast beef. Slip had a bone from the butcher but she has buried it! John woke in the night with toothache and has been to the dentist today. There is decay under one of his crowns and it seems it will be a vast expense to correct it. Talk of bridges, posts, crowns…….why on earth he does not just have the tooth out I do not know. It is a back one and so it is not as if it would show! He has an appointment for Friday when the crown will be removed and the best course of action decided. Rowan Kidsilk Creation Stripe is discontinued. 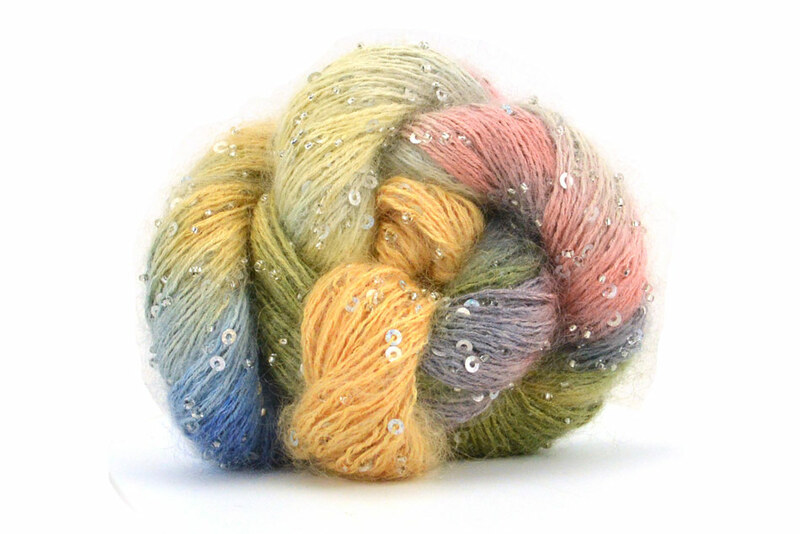 I am not surprised as fancy yarns definitely have a limited life due to their lack of versatility. Example: Put the woman into a young fox or lion to make an angel. Answer: Put the word her inside the word cub and you get c-her-ub, that is cherub. 1. Put an insect into tarts to make underwear. 2. Put a word for ‘always’ inside an animal to get excited. 3. Put a word for ‘representing’ inside an insect to make a word meaning ‘earlier’. 4. Put a word for ‘exists’ into your artistic inspiration to make a word meaning ‘ill-treat’. 5. Put the sixteenth letter of the Greek alphabet inside the residue of burning to make a word meaning ‘like a monkey’. 6. Put a condiment inside a word for ‘each’ to make a collection of psalms. 7. Put a heavenly being into a game to make a word for eternal. 8. Put a word meaning ‘moved quickly’ inside a French house to make a tough stone. 9. Put a word for ‘on’ inside a dog to make a line on a map. 10. Put human males into a doctrine to make a block of flats. Answers to jannette@easynet.co.uk with Russian Dolls as subject by midnight Saturday please. Damp and cold here. I am knitting a pair of gloves at the moment and I need them!! One month to Christmas day! How time flies. I don’t like this time of the year and shall be pleased when we get to April. The winter months hold no attraction for me. This is Artyarns Beaded Mohair with Sequins in shade #502. I can almost feel the softness of it. I shall finish the scarf that I am knitting for John in Silk Garden Sock tonight. Not sure what to make next – maybe something in the new Artesano Nebula. I am spoilt for choice with all the yarns here at hand. Maybe Jackson would like a coat or a hat! I shall have a think. Sorry I have not written for the last few days. I have been feeling a bit in the doldrums – no real reason for this! Time for a new contest. The prize is a skein of Rowan’s new Fine Art Aran yarn in the winners’ choice of colour. Fine Art Aran is not released yet but I have seen it and it is very nice. 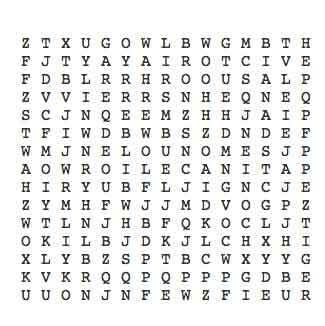 Hidden in the word search below are ten current shades of current Rowan yarns – words can read in any direction. Answers to jannette@easynet.co.uk with Word Search as subject. Closing date is midnight Tuesday. It has been sunny here but very cold. My brother and sister in law came on Thursday – that meant I had to do a vast amount of dusting as the sun seems to show up every speck. I have not received my appointment to see the hand surgeon yet – things are so slow nowadays. We are going to take Slip to the lake for a swim now. She plunges in and swims right around the edge of the lake. We went out to dinner with Gerald and Mena on Saturday night but the whole thing was overshadowed by an incident that had happened at the shoot earlier in the day. One of the beaters had inadvertently run over one of the gun dogs – a young Cocker Spaniel. So it had to be rushed to the vet. Latest I have heard is that there are no broken bones but there might be kidney damage. We shall have to wait and see. Maureen has won the last contes with her answer of Easter Candy and will receive a copy of the Kidsilk Amore book! I shall start a Christmas contest later this week. Just received an invoice from Rowan for Studio #33 which means it is on the way to me – strange to receive invoices before the goods! John is shooting again on Friday and so I might arrange for some yarn to be delivered and do some smuggling!! Back tomorrow. The Rowan Kidsilk Amore arrived last night. There is still one shade of Amore Shimmer outstanding – Avocado. John and Slip are shooting today and I have been baking. I made some flapjacks and a pavlova for lunch tomorrow. We are eating out tonight with Gerald and Mena (Gerald has been shooting with John today). Mr Jackson was funny this morning. I was in the packing shed and I could hear him – he was muttering to himself as if annoyed. When I looked I saw him pounce on a mouse. He caught it and then promptly dropped it because he was still talking. He sat down and looked around him – no sign of the mouse….he was sitting on it! It escaped when he stood up. Going to iron now and then have a rest before John gets back. Nasty damp day here! The Kinki Amibari needles and accessories have arrived! They are very good quality and a cut above most needles. Also arrived……1 kilo of jumbo crabs claws and a 5 kilo box of prawns! We are going to eat the crab claws for dinner tonight. With the phrase VETERANS DAY, change the V to a C and rearrange, and you can get a two-word phrase that names something you might buy for a different holiday. What is it? Answers to jannette@easynet.co.uk with Veterans as the subject by midnight Sunday please. Colder here today but Mr. Jackson is still sleeping in the greenhouse. He caught another rat in the night and so had a bonus piece of duck paté! Now I must go and pack more parcels before the postman arrives.